Carol Miers’s interview with wheelchair racer Jack Binstead is published today in The Guardian. Today is the day that Jack was most likely to have carried the torch, had his nomination by 20 people been successful. Jack Binstead is one of the UK’s most promising young athletes: a wheelchair racer in with a chance of competing in the next Paralympic Games. Born with brittle bone disease he has, says his mother Penny, broken 64 bones in his body over just 15 years. 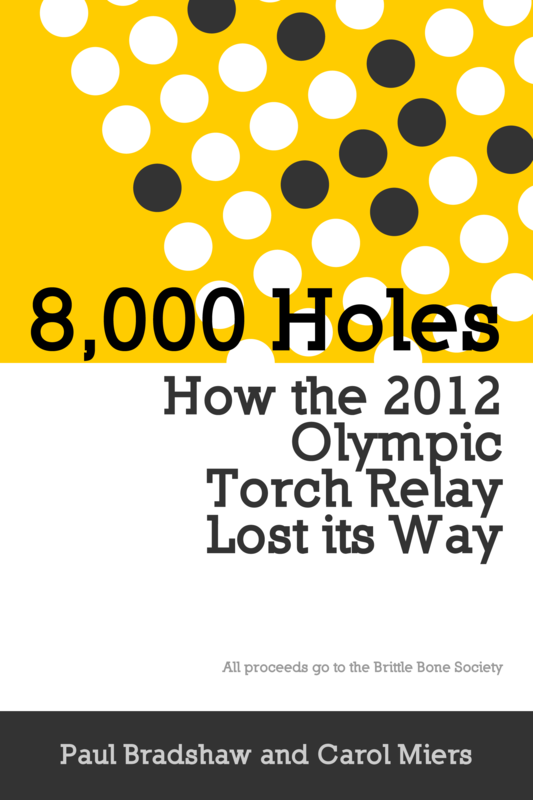 As the Olympic Torch Relay enters its final week we are today publishing Help Me Investigate’s first ebook: 8,000 Holes: How the 2012 Olympic Torch Relay Lost its Way. A longform report, the book details how the 8,000 torchbearer places were allocated – and how that process made it impossible for Olympic torch relay organisers LOCOG to meet key promises about the numbers of places available to the public, and to young people.